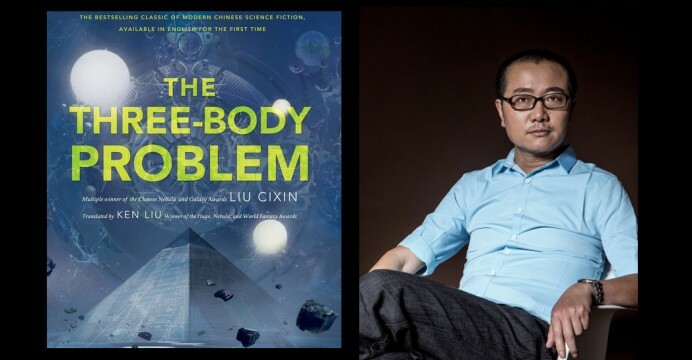 Cixin Liu, whose book The Three-Body Problem is nominated for both the Nebula and the Hugo, will be coming from China to meet with fans and participate in SFWA’s Nebula Weekend June 4-7. Liu, 51, resides in a “gritty coal-mining town in northern Shanxi province” accordng to NPR. He will be one of the authors at SFWA’s Mass Signing on June 5. The event is open to the public from 8:00 pm-9:30 at the Palmer House Hilton (17 E Monroe St., Chicago) in the 4th floor Exhibit Hall. People are invited to bring their own books or purchase books on site. As of April 17, these authors were planning to be at the signing: Greg Bear, Tobias Buckell, Neil Clarke, Dave Creek, Ellen Datlow, Aliette de Bodard, Alexandra Duncan, Scott Edelman, Alex Eisenstein, Phyllis Eisenstein, Cynthia Felice, Esther Friesner, Charles E. Gannon, Steven Gould, Joe W. Haldeman, Tina L. Jens, Edward M. Lerner, Cixin Liu, Ken Liu, Kate Milford, Deborah Millitello, Sarah Monette, Larry Niven, Mary Rickert, Lawrence M. Schoen, John E. Stith, Gordon Van Gelder, Ursula Vernon, Connie Willis, Alyssa Wong. This entry was posted in Conventions and tagged Liu Cixin, Nebula Weekend, SFWA by Mike Glyer. Bookmark the permalink. Damn, now I really wish I could afford to go. Oh, terrific. I just booked myself to go to this and it’s promising to be an even more exciting event than expected.